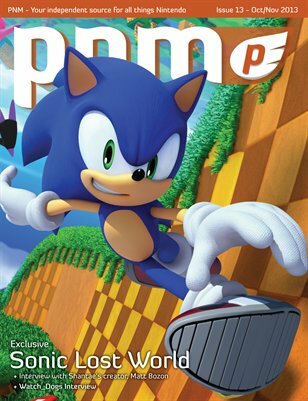 Issue 13 kicks off the calm before the storm of new Holiday releases for the Wii U and 3DS. One of my personal favorite Zelda games, The Wind Waker, is now available in HD on the Wii U, Pokemon X/Y are just around the corner, and many more games are gracing the Wii U and 3DS over the next couple months. One of those games we’re eagerly anticipating is Sonic Lost World. Check out our full interview with the team at SEGA. Watch_Dogs is also coming out for the Wii U and we’ve got the latest on the game that could monopolize a lot of your game time this Holiday. We also have our second video game music article focusing on Yoko Shimomura and much more!